Access Services provides programming of interest to our communities and will be of interest to adults 50+ years of age or has accessibility needs. Past events have included authors, mental health, spirituality, laughing, falls and how to prevent them, and much more. Special library materials that may interest older adults, caregivers and others include large-print books, audio books and videos (standard, close-captioned and descriptive). The California State Library's Talking Books program serves those who are blind or have visual or specific physical limitations. Application forms and more information are available at branch information desks or at the California State Library's Talking Books website or by calling toll-free 1-800-952-5666. Alameda County Library strives to make its facilities, services and resources accessible to everyone in our communities. 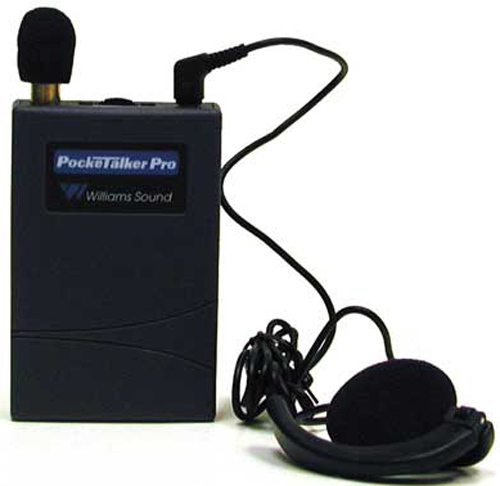 When hearing situations prove most challenging, the Pocket Talker® amplifies sound clearly and easily for better understanding.n hearing situations prove most challenging, the Pocket Talker® amplifies sound clearly and easily for better understanding. This listening assistive devise is available for use at most branches. Patrons who are deaf or hard of hearing and patrons with speech disabilities may call the Reference Services TTY with questions about library services, library holdings or brief reference questions. Call the California Relay Service to reach the central information desk or any library location. Dial 711 or 1-800-735-2929 TTY. California’s Library Services for People with Print Disabilities, in association with the Library of Congress, provides free Braille and audio books, magazines and playback equipment to all eligible Californians unable to read standard print. Weiss Ratings: Medicare Supplement Insurance ratings. All plans in one easy place. Reports and Initiatives addresses the "growing concern about rising drug costs, prescription drug coverage, the use of drug formularies, inappropriate prescribing, and an increasing awareness of medication errors has led to a significant interest in health care initiatives aimed at physicians, hospitals, and health systems." Seniors can learn about their local Medicare options by calling 1-800-434-0222 or going to the website. My Medicare Matters is designed to help individuals learn more about the Medicare Prescription Drug Coverage. Medicare's website, along with the new drug pricing tool, is available at www.medicare.gov. The information also can be obtained by calling a Medicare representative at 1-800-MEDICARE. Tutorials to learn the mouse, the Internet, and computers. Tutorials on the most popular and useful websites on the Internet, social networks and dating sites to everyday tools for getting directions and knowing what the weather's going to be like. Learn how to listen to music, watch videos, and have phone calls right on your computer through the power of the Internet! Also, there are special resources dedicated to 50+ adults. A list of websites with tutorials on typing and keyboarding. This app is on all iPhones. After set-up, you can log into a webpage map to locate your iPhone. Free app for GPS tracking for family members who have enabled this service. This store sells assistive technology for all ages. Items include magnifiers, large print keyboards, etc. Video and chat on the computer or smartphone. Great way to keep in touch long distance. You need a built-in camera and microphone on computer or device. A free resource that provides ratings of long term care providers throughout the state, and helps you choose among options such as nursing homes, home health care agencies, and residential care facilities. Search, compare and directly contact prescreened home care, senior housing and hospice providers in your local area. Free and private service to identify a home care agency that services your area. What to look for and questions to ask when deciding on using assisted living. Elder Safety provides information, training, and resources to help improve the safe mobility of seniors in the community. Simple, informative guide that lays out senior safety on the road, tips and complications for seniors, how to remain an independent driver for longer, and how to approach somebody who should stop driving. Find the latest on current legislation regarding aging, plus information on benefits, housing, travel, insurance and more. A new and useful tool by the U.S. Dept. of Health & Human Services for those seeking hospital info. In addition to a directory for Medicare-certified hospitals, it also reports on the quality of care at hospitals based on whether or not certain standards of service were adhered to. This site is from the Alliance for Investor Education, a not-for-profit organization formed "to assist individuals in becoming effective managers of their own assets through programs of education, information, and research." California Coalition for Compassionate Care is a statewide partnership of more than 50 regional and statewide organizations dedicated to the advancement of palliative medicine and end-of-life care in California. This organization supports community-based nutrition programs that deliver meals to the elderly. Easy to find consumer information for planning for long-term care – this website provides comprehensive information about long-term care planning, services and financing options, along with tools to help people begin the planning process. Topics related to senior's health from Medline. Senior Service America is a non-profit organization that provides community service and employment opportunities for adults age 55 and older who wish to re-enter the workforce. This site can assist seniors find answers to their medical questions and to learn more about health and aging. Brought to us by The National Institute on Aging. Browse more than 110 videos about various health and wellness information relevant to older adults. This site provides adults 50 and older with information and instruction about computer technologies and includes SeniorNet Learning Centers around the United States. Handy guide to diet as we age. Topics of importance including legal issues around care for the elderly. Provided by Health & Human Service of the U.S. Government. The mission of this program is to facilitate and contribute to the creation of a society for all ages. One of their projects is the celebration of the International Day of Older Persons, celebrated each year on October 1. The resources are translated into many languages. Exercises, motivational tips and free resources to help older adults start and continue exercising.